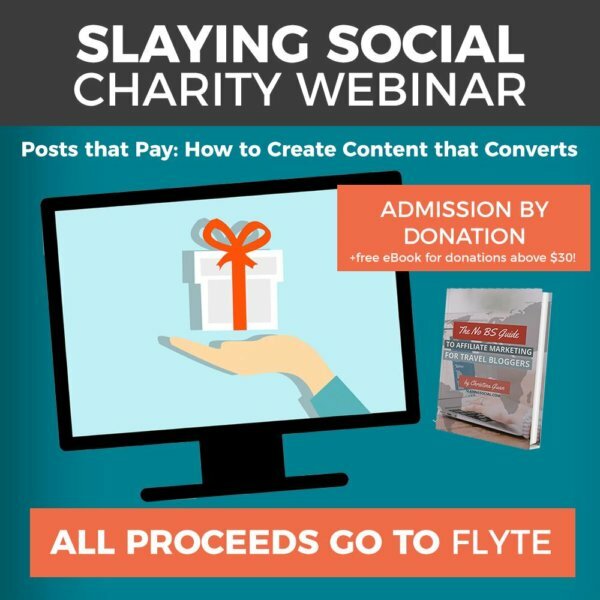 In our pay-what-you-want donation-only Webinar for Charity, we’ll walk you step by step through the process of creating a blog post utilizing targeted affiliate marketing to drive conversions. I’ll be showing you everything you need to know to write a post that pays. 💵💸From coming up with a post idea to keyword research and SEO to implementing affiliate links to promoting your post, I’ll walk you step by step through the exact method I use to create the kinds of posts that have earned me a 6-figure income in 2018! Each trip for a student costs around $2,500. Whether you can contribute $5, $10, $30, or $50, your involvement will help make a lasting investment in transforming the life of a high school student forever. If the timing of the webinar doesn’t work for you, don’t worry: there will be a replay available for you to watch on your own time.